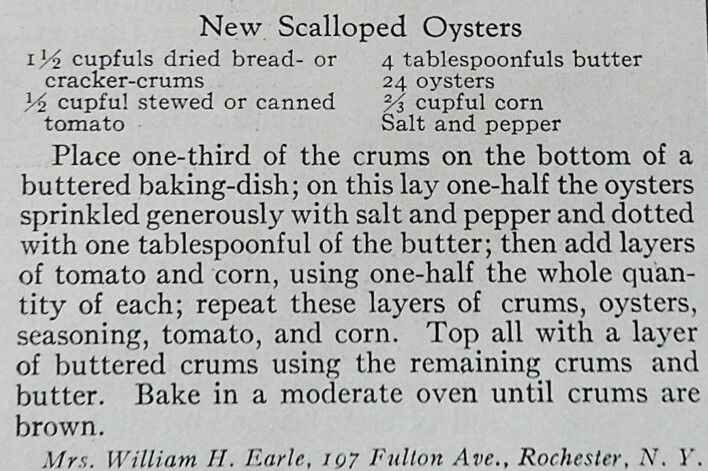 Scalloped Oysters are a classic holiday dish, so I was curious when I saw a hundred-year-old recipe for “new” Scalloped Oysters, that called for tomatoes and corn in addition to the usual bread or cracker crumbs. 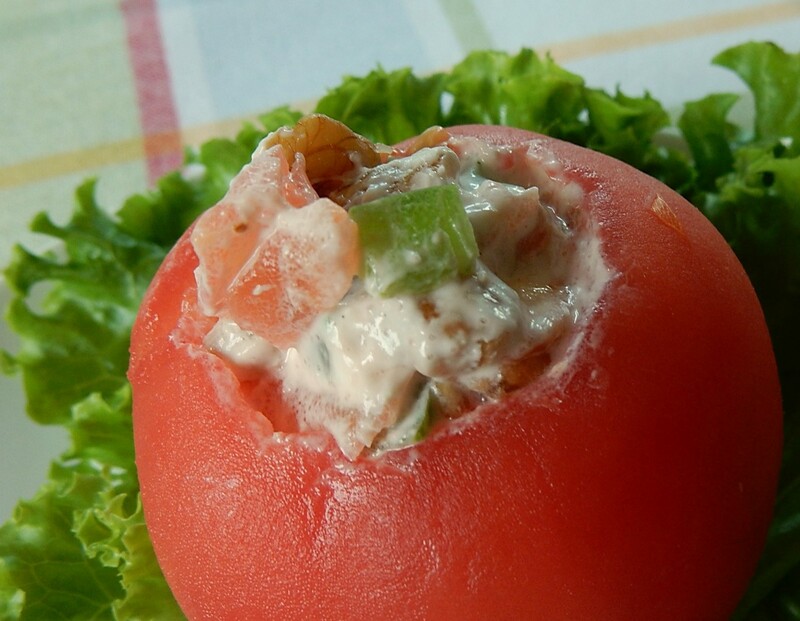 The old, “new” twist adds interest to this traditional dish. “New” Scalloped Oysters were colorful, flavorful, and easy to make. Preheat oven to 350° F. Butter 1-quart casserole dish. Put 1/3 of crumbs in bottom of dish. Lay 1/2 of the oysters on crumbs, sprinkle with salt and pepper and dot with small pieces of 1 tablespoon of butter. 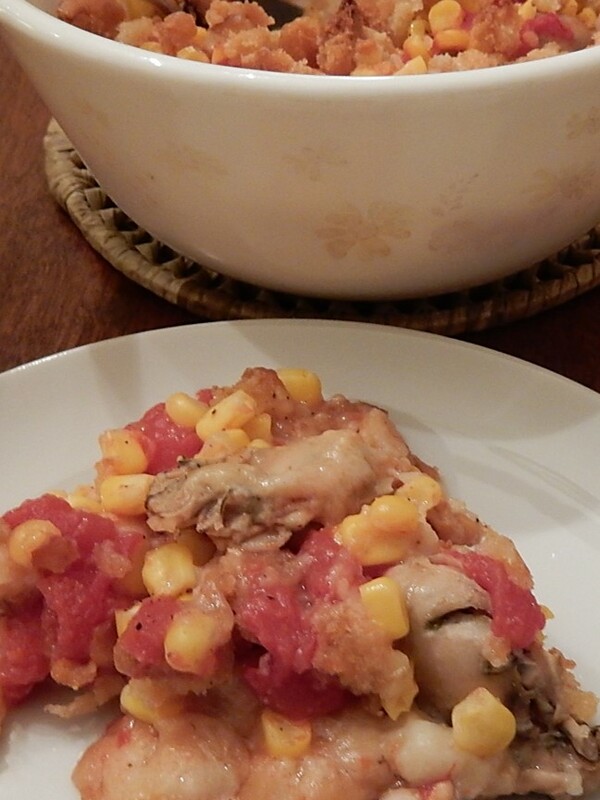 Add layers of tomatoes and corn, using 1/2 of each. Repeat with layers of bread crumbs, oysters (sprinkled with salt and pepper and dotted with 1 tablespoon of butter), tomatoes, and corn. In the meantime, melt 2 tablespoons butter in a small skillet. Gently stir in the remaining 1/2 cup crumbs; continue gently stirring until the bread crumbs are coated with melted butter. Remove from heat. 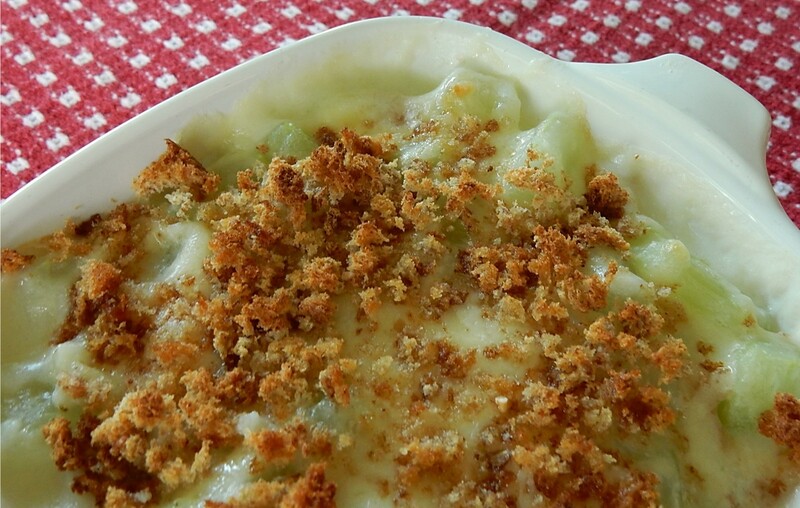 Put the buttered crumbs on top of the previously assembled layers in the casserole dish. 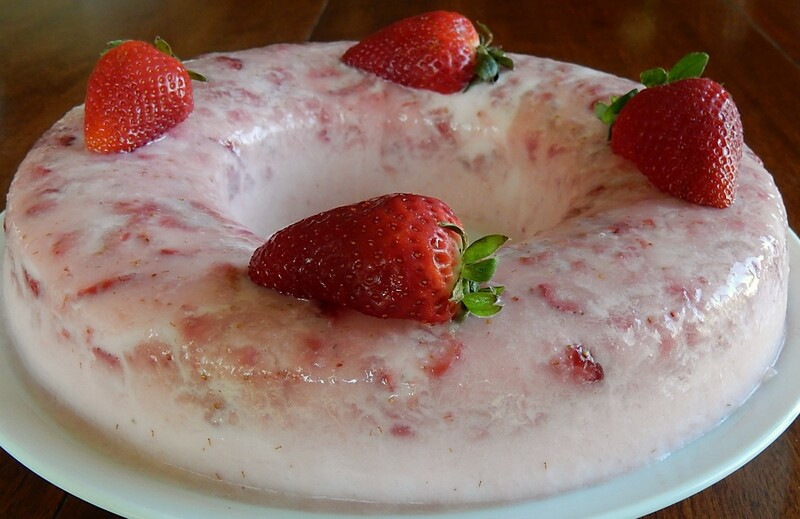 Bake for approximately 45 minutes or until hot and bubbly. Today summer squash is often streamed or grilled, but once or twice each summer I fry it. So I was thrilled to find a hundred-year-old recipe for Fried Summer Squash. When I make fried squash, I generally “bread” it with flour. The old recipe called for actual bread crumbs. 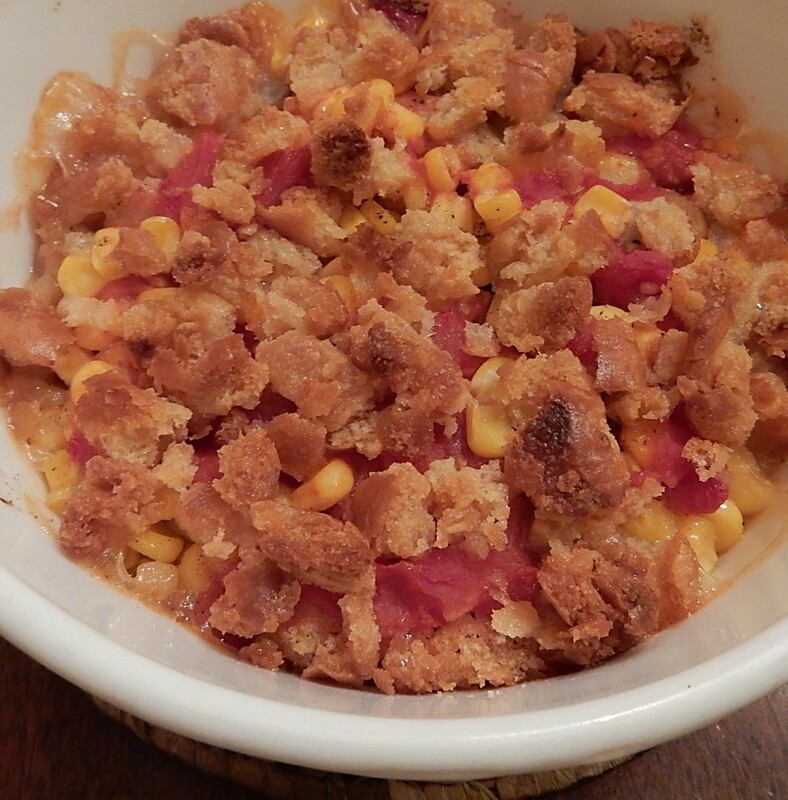 The bread crumbs are a nice twist to this classic comfort food. 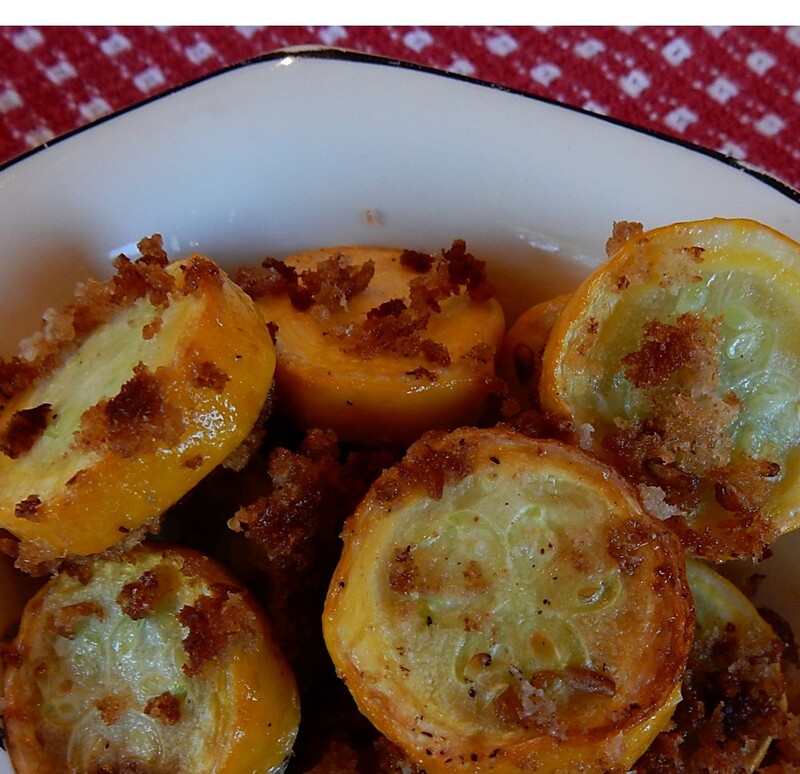 Yellow summer squash or zucchini could be used in this recipe. 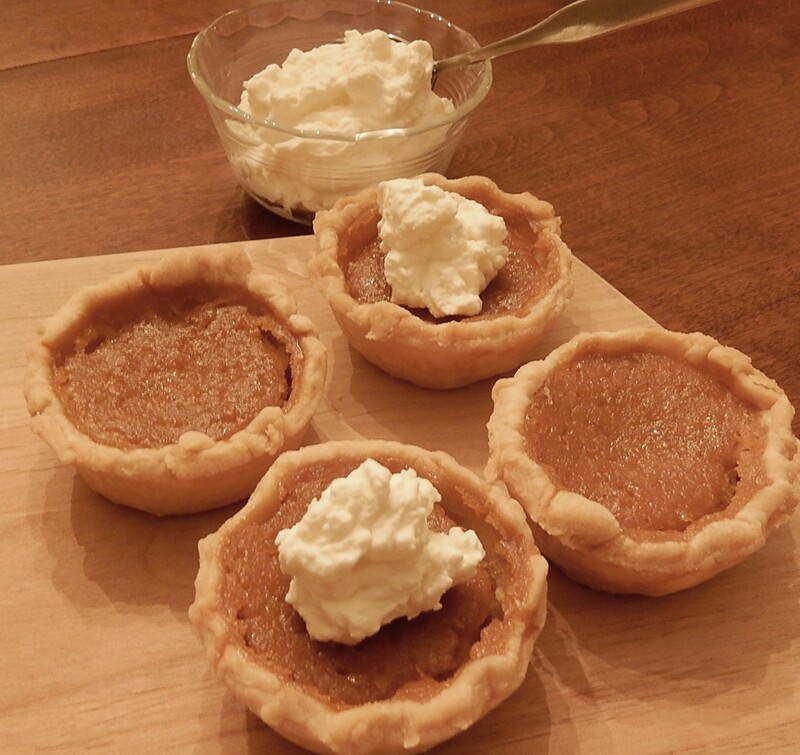 I used yellow straightneck squash to more authentically replicate the hundred-year-old recipe. According to Wikipedia, “the first records of zucchini in the United States date to the early 1920s.” Since this cookbook was published in Minneapolis, Minnesota in 1917, the cookbook author won’t have used zucchini. Wash and cut the squash into 1/2-inch slices. Sprinkle slices with salt and pepper, dip in the beaten eggs, and coat with bread crumbs. Set aside. In the meantime, heat 1/2 inch of shortening or oil in a large frying skillet. When hot, carefully place the breaded squash slices in the skillet in a single layer. 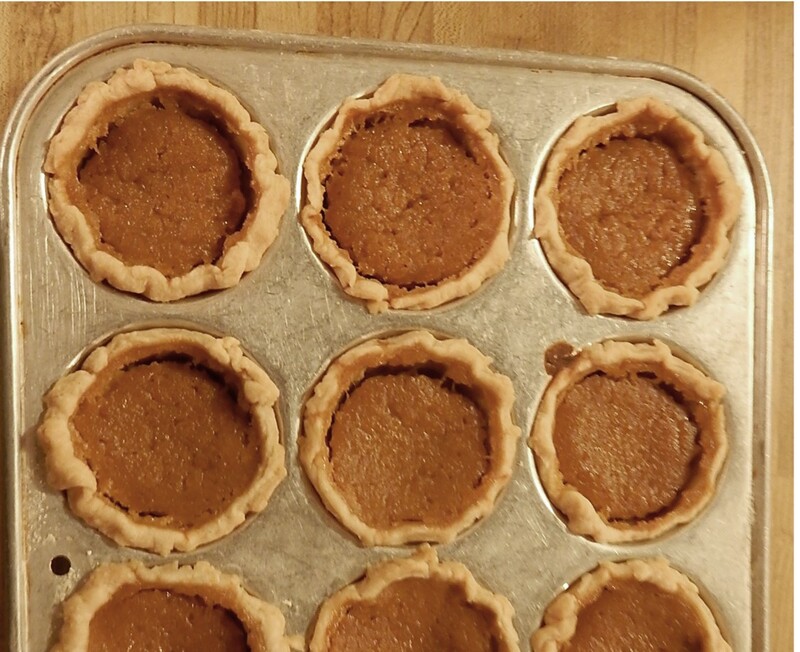 Depending upon pan size, the squash slices may need to be cooked in several batches. Fry for about a minute or until the bottom side of each slice is lightly browned, then gently turn and fry until the other side is browned. Remove from pan and drain on paper towels. Serve immediately. Cook’s note: Some of the breading will fall off the squash during cooking. This is okay, the remaining breading is enough to make an attractive and tasty dish. The old recipe calls for coating the squash slices with bread crumbs, both before and after dipping in egg. When I made this recipe very few bread crumbs clung to the squash slices prior to dipping it in the egg – so I skipped this step when updated the recipe. It works fine to only coat with bread crumbs after dipping in the eggs. 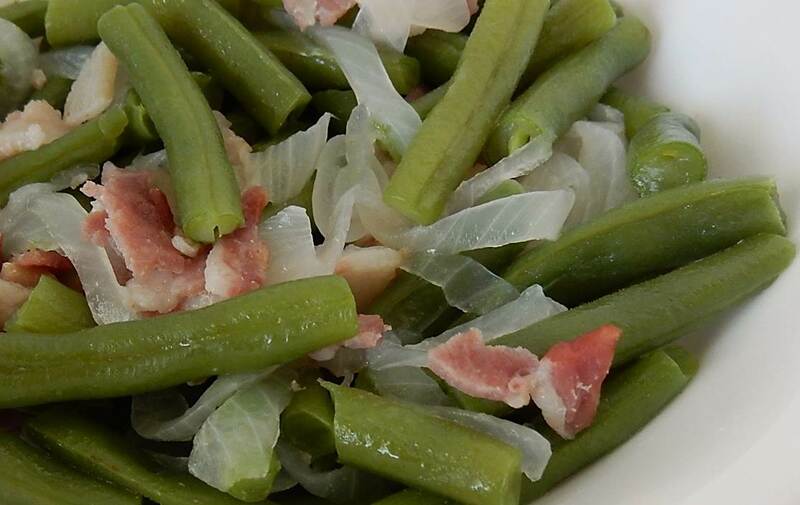 String Beans with Bacon (and onions) are delicious, and they are quick and easy to make. 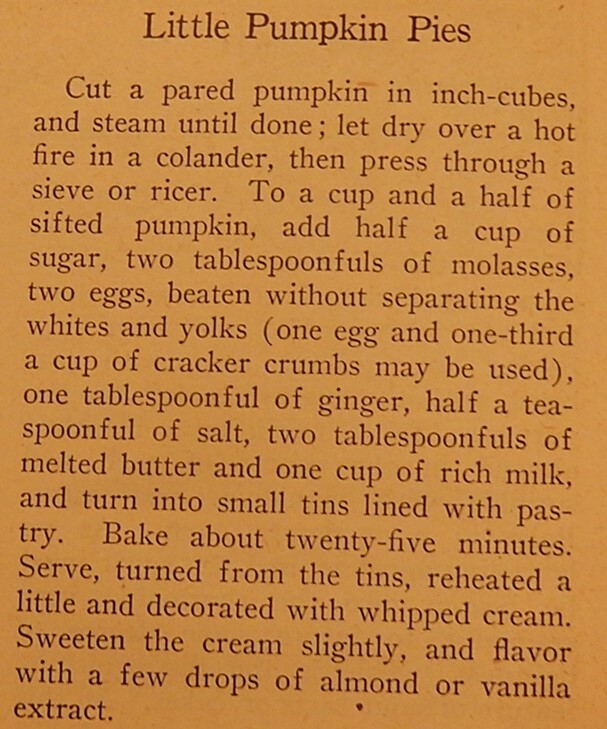 This hundred-year-old recipe brings back vague memories of string bean dishes from my childhood. The recipe calls for cooking the beans until they are tender – and I cooked them for about 20 minutes. They weren’t crisp like the beans often prepared using modern recipes – but I found them to be a refreshing change, and enjoyed this dish’s old-fashioned goodness. The recipe is definitely a keeper. Clean string beans, remove tips, and snap into 1-inch pieces. Place in a saucepan. Add the sliced onions and chopped bacon; then just barely cover with water, and add the salt and cayenne pepper. Place on the stove and bring to a boil using high heat; then reduce to a simmer. Cook for approximately 20 minutes, then remove from heat, drain any excess liquid (a little is okay), and serve.